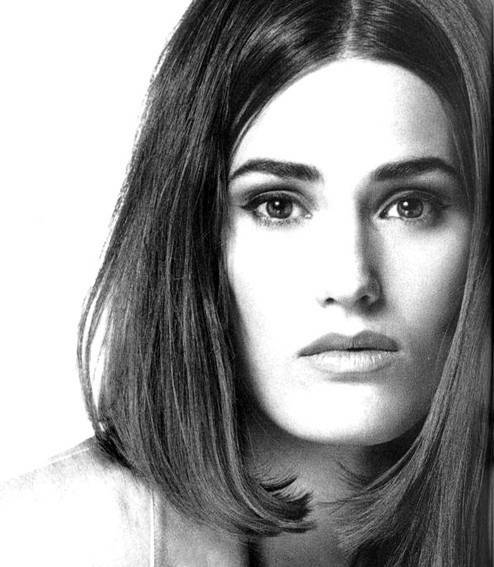 An hour into our shoot, and the team has reached a whispered consensus: we are all in love with Yasmin Le Bon. The woman is an actual goddess. Posing amid the cacophony of her own 3 dogs , plus 3 pugs and a stately boxer provided by Easy Living’s editors, she exudes poise, confidence and humour (“This is like a pug convention,” she squeals. “It’s a pug conspiracy!”) She’s so charming, you don’t begrudge her the adoring rock star husband, beautiful daughters (Amber, 22, Saffron, 20 and Tallulah, 17) or double-fronted house in Putney. You’re not even jealous that at 47, she looks about 30. The first time Simon saw me, he was bored on a shoot, flicking through a photographer’s portfolio, and spotted my picture. He carried my name and agency details around for weeks before tracking me down. A number of people tried to dissuade me, with the best intentions – they believed the rock-star clichés – but I wasn’t put off. Once we met [at a film premiere], it was all consuming; I didn’t really have a choice. We just wanted to be together. Logistics weren’t always on our side, but if it wasn’t going to work, it wouldn’t be because we hadn’t tried. Simon and I have always been really independent. Because we travelled so much, we were constantly battling to be together – running to catch the last flight from Paris to get to Switzerland, that kind of thing. It was wonderful. I would find a relationship living in each other’s pockets really hard – a surefire way to break up. There have been tricky times; everybody can be annoying, and Simon could have driven me mad by now. If you’re overworking you lose your sense of humour, but we face difficult situations with laughter. Really, I think it has worked because we’re both as demented as each other – no one else would put up with us! We don’t have date nights – who on earth has date nights? Do you really need to schedule these things in? But there are times when Simon’s on tour and we haven’t seen each other for weeks, and we miss each other desperately, so I’ll fly out to him. I still fancy Simon. I always think he’s the best-looking guy in the room. Ha! That’s a laugh. All I can say is, I don’t deserve this face. I’ve tried to sabotage it for most of my life. I’ve only recently discovered water and sleep. I really don’t spend a lot of time on grooming. I get given all sorts of creams and I just slap them on. If they feel great, I use them until they run out. If not, I use them on my arse! People tell me I haven’t aged, but I really have – believe me, I have photographic evidence to prove it! I would consider plastic surgery – that doesn’t mean I’d necessarily do it. I’ve seen people around me have plastic surgery and what no one tells you is that you feel worse before you feel better – everybody I know who has done it has felt a huge amount of guilt. I can still party harder than anyone. My daughters’ friends and boyfriends are always at the house – and we’ll have vinyl nights, playing LPs on Amber’s turntable. The music is everything from The Clash to James Brown. I also love Arcade Fire and Lana Del Rey. I tell my daughters not to mix their drinks, but I don’t take my own advice – Simon makes a mean cosmopolitan and a great dark ‘n’ stormy. I really don’t care about fashion rules. Commenting on what people wear is obnoxious! Dressing is all about how you feel. When I get dressed, there’s always a bit of story going on in my head – a reason why, a character. You’re not supposed to admit this sort of thing or people will think you’re mad, so I won’t elaborate. But I talk about some of my dresses like daughters. Oh, the things they’ve seen! I do sometimes feel insecure – having spent years contorting myself into the strangest poses, a couple of years ago my back and hips gave out, so I had to stop exercising. I gained a lot of weight, but that’s life. I’m very glad I listened to my body. And whether you look like Helena Chistensen or not, we all have days when we don’t feel great. What’s the point of having kids young, unless they’re going to be your friends? It’s bloody hard to be a parent and a friend, but you can’t be frightened of that. Growing up, my daughters understood that what I say goes; I’m the adult and I know better. I was strict about discipline, manners and routine. I felt I had to be, because our lives were quite frantic. Still, I think I probably underestimated many of the difficulties of having an extremely well-known father. You can sweep it under the carpet for so long, but of course, it’s an issue. I’m sure my daughters blame me for all sorts of things – that’s what parents are for – and I’m happy to play the ‘devil’ sometimes. They do want to hang out with me, but equally there are things you just have to say to your children that a friend never would. They won’ be your best friend all the time. We got the dogs when the children were quite grown up. You reach a point when – much as you adore your kids – you need a bit more unconditional love. They don’t want any money; they don’t make you feel like a bad mother! If you’re having a bad day, hug a pug. They are completely and utterly part of the family. Every time I do a shoot with my daughters or my dogs, I call my agent and say ‘Never again! I can’t be worrying about what they’re doing why I’m trying not to fall out of my dress!’ But actually it’s great fun. You shouldn’t work with your husband either, but recently Cindy, Naomi, Eva, Helena and I reunited to film the Duran Duran video Girl Panic! It was my first time – there had always been a rule: no wives or girlfriends in the videos. I was really unsure at first, and was mortified to be asked to do it now, an old bag, and not 20 years ago, in my prime! In fact it was extraordinary; it felt just like the old days – bloody hard work but so much fun. And with some great make up and clever lighting, it came out okay. Despite all the stories about the ‘supers’ being demanding in the 1990s, almost everyone was very professional. Because all the girls really got on with each other – there was always a great vibe backstage; they’d have to separate us to stop us laughing – we became a real force. We started to dictate some things. And no, it wasn’t scented candles or anything ridiculous like that – it was fairer rates, minimum booking times. We realised what we were worth! Some people didn’t like it – others though it was brilliant. I’ve had to accept that if you work, travel and have a family, you can’t keep friendships up. Anyone who thinks they can, without driving themselves into the ground, is mistaken. There are tons of people I love to see, but I can clip in and out. We all have limited resources, and one day friends will realise why you couldn’t always be there. I saw Beyoncé’s show and she did a move where she popped down and back up – I actually shed a tear because I knew I’d never do that again, or if I did, somebody would have to help me up! That’s difficult to come to terms with. I used to be obsessed by perfection. I was so busy I realised I’d need to chill out or I’d drop dead at 27. Now, I embrace imperfection and chaos. My house is falling apart, there’s dirt on the walls, I’m a hopeless cook – but I really think there’s some kind of beauty in that. And the chilling out is lovely.